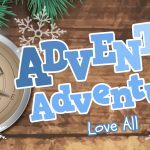 AIM: The aim of the ‘Fishermen Encounter Jesus’ Childrens Lesson is to help the children recognize that they can follow Jesus and to help them think through what that means practically. 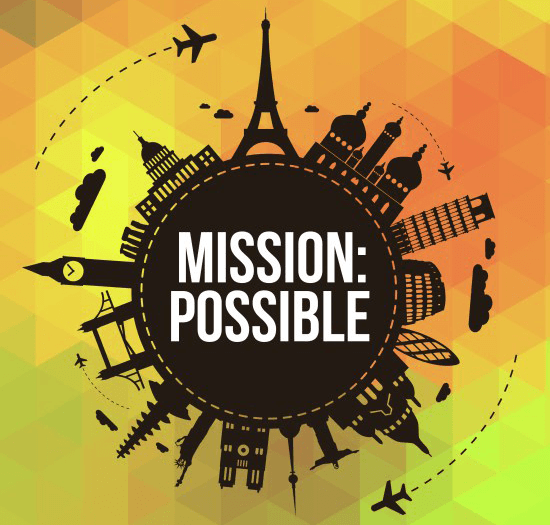 INTRO QUESTION IDEA: If you were to lead the world, what would you do? Fish Attack. Throw Goldfish crackers at a leader who has shaving foam on their face. The team that has the most fish crackers on the shaving foam by the end of the game is the winner. 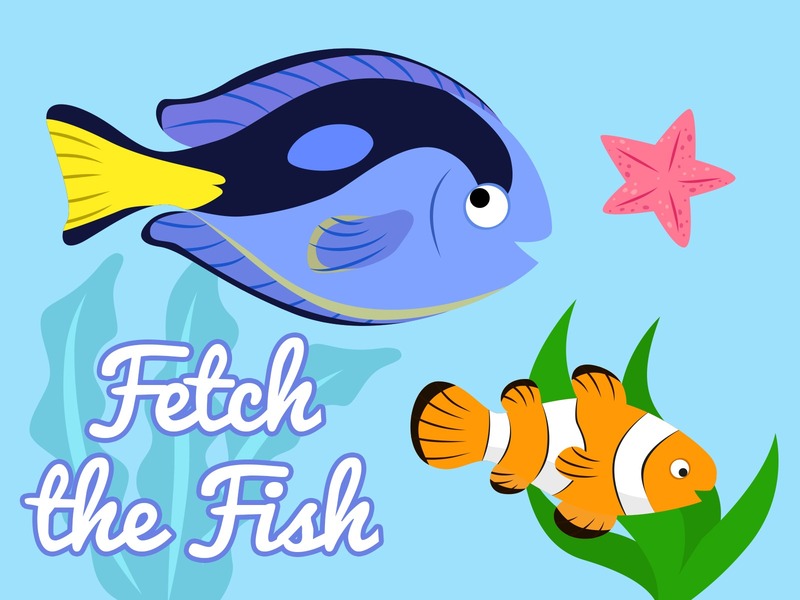 Fetch the Fish. Relay Race. Hide fish (paper ones not smelly real ones!) all around the room or around an obstacle course. Get the children to pick up one fish and bring it back and then. Fish Flap. Make a paper fish for each person. Hand them a newspaper or a paper plate that they must fan the fish with until it reaches the other side of the room – or a finish line you have created. The winning player is the player whose fish crosses the finishing line first. Welly Walk. Have a pair of wellies (wellington boots) for each team and fill them with custard, jelly, whipped cream, chilli and any other food substance you can find. Then ask the children to walk in the wellies up to a certain line and back before swapping with their partner. If playing as an upfront game you may want to choose two pairs to play. Twitter Count. Help children to think about who they and others are following and why. BIG VERSE: For God so loved the world that he gave his one and only Son, that whoever believes in him shall not die but have eternal life. John 3:16. Read Matthew 4:18-22 about the calling of the disciples. ‘Who’s the Leader?’ Quiz about famous leaders; have pictures including political/religious leaders, animation characters such as Captain Smek from ‘Home’ or Gru from ‘Despicable Me’. The leaders can be good or bad. Ask the children if they can recognize the leaders. You can make this into a game by choosing teams or particular players to compete against one another to work out the answers. Say: The leaders that we look at in the quiz are just like us; they make good choices and bad choices. Yet Jesus was the best leader that has ever lived – he never made a wrong choice. In fact, Jesus was such a good leader that the disciples just dropped everything and immediately followed him. They didn’t wait around! 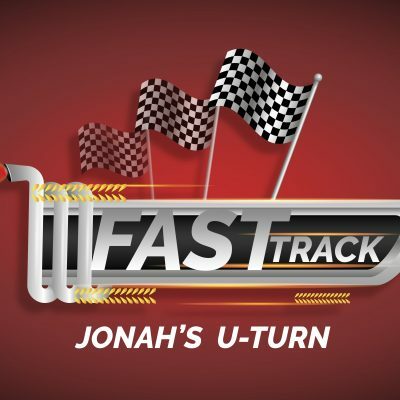 In Jesus’ day there were different teachers; rabbis, that people wanted to follow. Only the best would be able to be a disciple of a rabbi. They would study all that the rabbi taught them and their aim was to become like the rabbi. But an ordinary person wasn’t likely to become a disciple, only the best would be chosen. 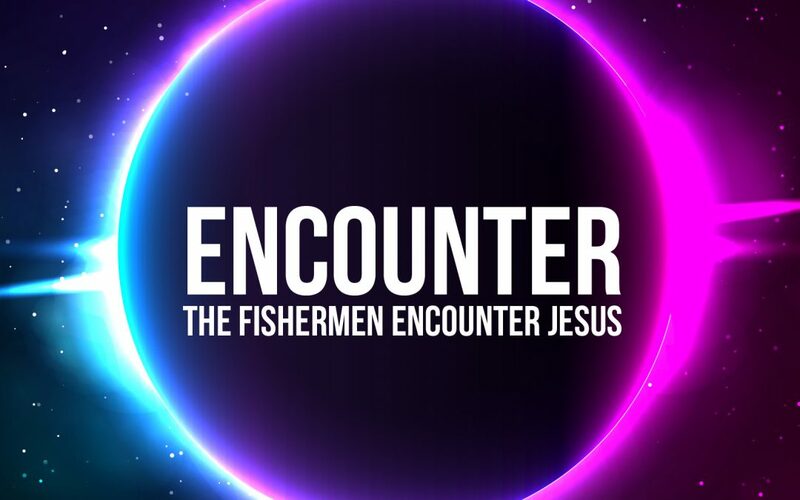 The fishermen were just ordinary people like you and me – but Jesus wanted them and he wants you to follow him too! Jesus led with power but he used his power in good ways. Jesus was a friend to those that had no friends, he loved everyone but he wasn’t afraid to challenge people when they were doing wrong. Jesus was strong but he didn’t mind appearing weak to others. It might have looked like weakness when Jesus was on the cross, but Jesus chose the cross for you and me because he was so strong! He chose to live a perfect life and to die a perfect death so that we might be friends with God. Jesus cares for those who follow him. He protects them through storms and hard times. That doesn’t mean bad things don’t happen to them (the disciples had some hard times ahead of them when Jesus rose again) yet they knew that Jesus was always with them and he would never leave them. So why not let Jesus lead you?! Let the King of Kings and the Maker of All things lead you into exciting and dangerous places where you will have to rely on him with everything you’ve got! That’s what the disciples did, they let Jesus lead them – and they have been remembered for thousands of years! 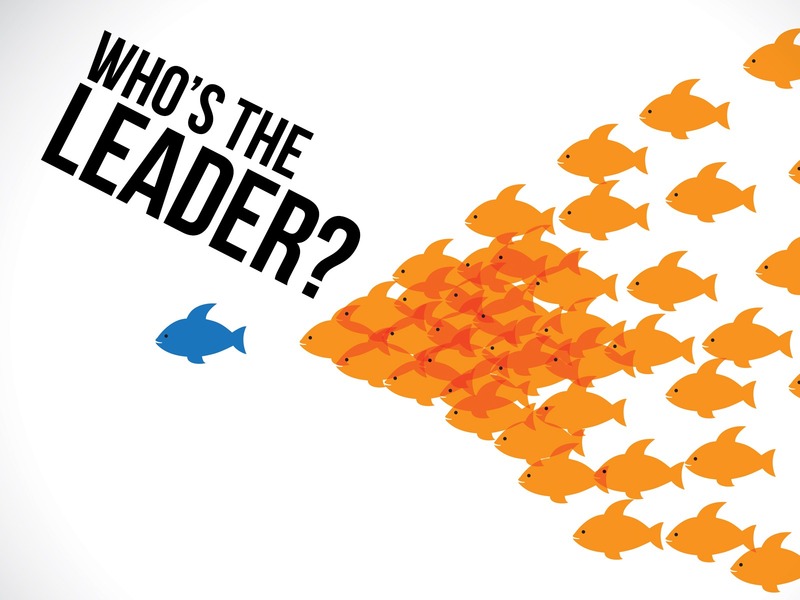 Simply let Jesus lead you and watch what you will do with him as your leader! Skit: Create a skit where a young person invites their friend to a party, the friend realizes that they will have to give up watching their favorite show to come along, but they say yes. Alternatively you could use the clip from the ‘Home’ movie where the little alien Oh has invited his friends to a party… unfortunately the invite has been sent to everyone – including his enemy! Say: Just as we saw the invite given out in that video/skit Jesus gave an invitation to the disciples. He said “Come, follow me!” He says that to us too. He invites us to follow him. We can follow him with our whole life – with everything we have got within us! Following Jesus means to be his disciple – a personal follower of Jesus. It means to listen to his advice and guidance through the bible and prayer. It means obeying his commands and putting into practice the things that he teaches. It means making Jesus part of your life and letting him lead. Jesus has invited you to follow him. What will you do? When you follow someone it means that you want to be more like them. When we choose to follow Jesus we are saying that we want to be more like him. We’re saying we believe everything he said and taught. We believe that he is who he says he is and he will do what he says he will do. Will you follow him? Number One. Get the kids to vote on a couple of questions: What’s the first thing you do? a) In the morning? 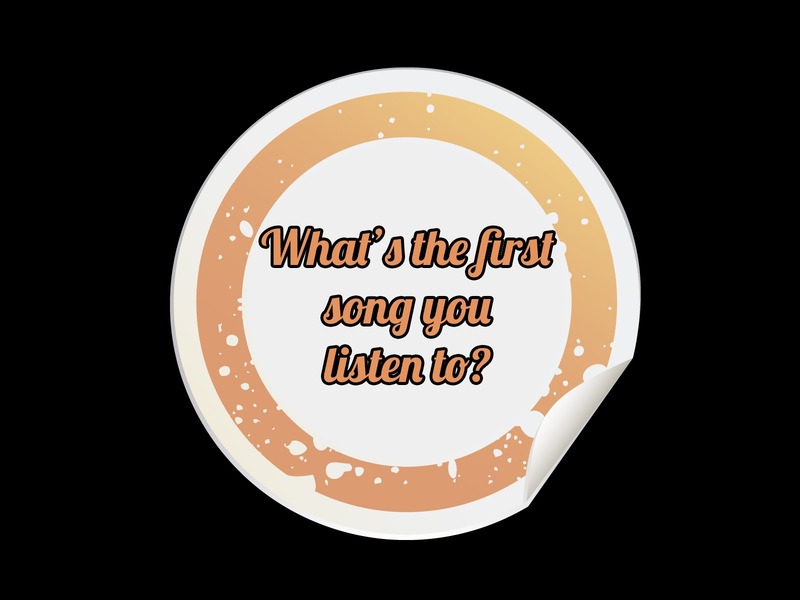 b) whats the first song you would choose to play on your iPod? 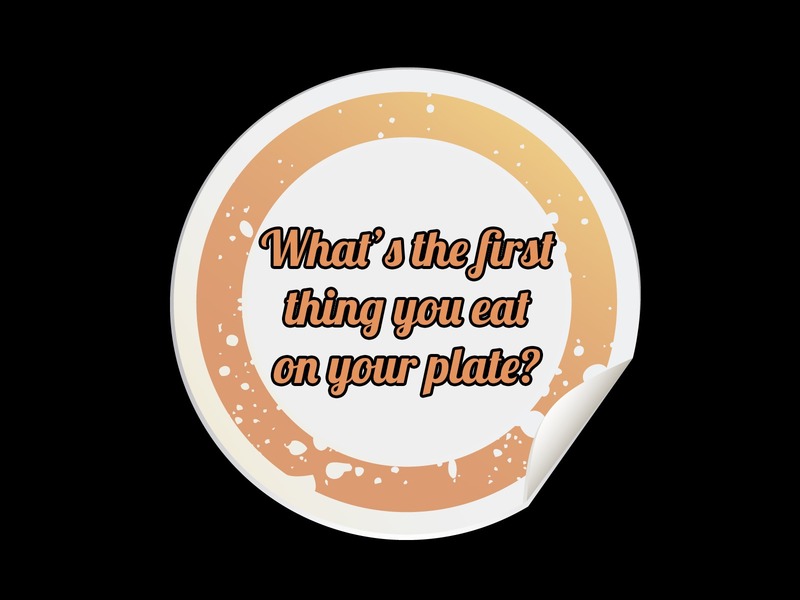 c) whats the first thing you eat on your (name a well known food plate such as a roast dinner or big breakfast)? d) at school? 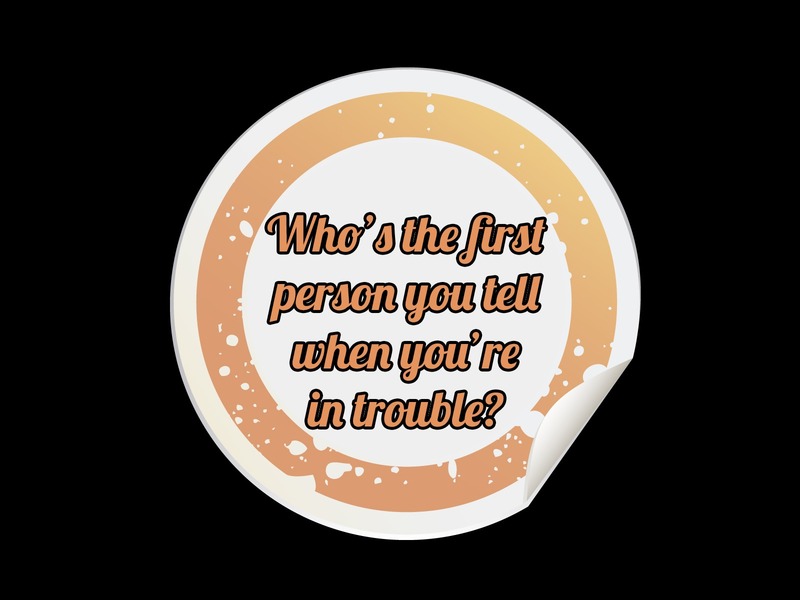 e) Who’s the first person you tell if you’re in trouble? f) Who’s the first person that you tell your good news to? If there are some simple answers you can think of, you could get the children to run from one side of the room to another or go into corners that represent their action. Say: The disciples gave up everything to follow Jesus. EVERYTHING! They dropped it all because they knew that Jesus was worth it. 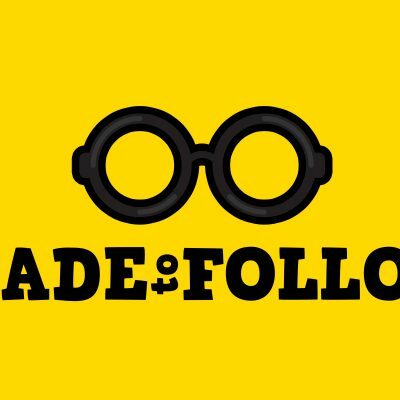 They knew that when they followed him their lives were going to change for the better. Their lives were going to be exciting and full of surprises. They knew it would be tough but that Jesus was going to teach them things that they could only dream about! Yet they still had to make a choice and decide to leave behind those things that weren’t going to grow them or help them. They had to let go of the things that were going to hold them back. Following Jesus means making him number one; putting him first. It means that he is the most important thing in your life and that he comes first. We just had the vote about the things that we do first. Jesus wants to be the person that we turn to first. He wants to be the person we think about first, the one we turn to first. He wants to be the first person in our mind when we wake up and when we go to bed at night. The disciples made Jesus number one in their lives when they left it all to follow him. 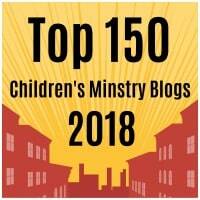 Making Jesus number one means thinking about what he would think about the things that we watch or listen to, asking him about how to act at school and the decisions we make. Making Jesus number one means that his opinion is the one that matters most. Will you make Jesus number one in your life too by accepting him as your leader and friend? Cut out some fish on card stock with the bible verses below on them. Stick a magnet on each of the fish. 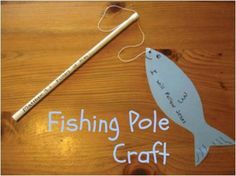 Create a fishing rod with a wooden stick or straw and string. Attach a magnet to the end of the string. Children should fish for the fishes and then explain what the bible verse means when they ‘catch’ it! For to this you have been called, because Christ also suffered for you, leaving you an example, so that you might follow in his steps. 1 Peter 2:21. Then Jesus told his disciples, “If anyone would come after me, let him deny himself and take up his cross and follow me. Matthew 16:24. Again Jesus spoke to them, saying, “I am the light of the world. Whoever follows me will not walk in darkness, but will have the light of life.” John 8:12. And he said to all, “If anyone would come after me, let him deny himself and take up his cross daily and follow me. Luke 9:23. You are my friends if you do what I command you. John 15:14. “He who loves father or mother more than Me is not worthy of Me; and he who loves son or daughter more than Me is not worthy of Me. “And he who does not take his cross and follow after Me is not worthy of Me. “He who has found his life will lose it, and he who has lost his life for My sake will find it. Matthew 10:37-39. What did the fishermen do when they heard Jesus? How do you make the decision to follow Jesus? Have you? Why/why not? What does this passage show you about God? What does this passage show you about people? How does following Jesus affect: a) how I make friends? b) how I act at home? c) what I watch or look at on Youtube, TV or the internet? d) how I do my school work? What is a fisher of men… and do you want to be one? Why/why not? How will you be a fisher of men? What things will you do? 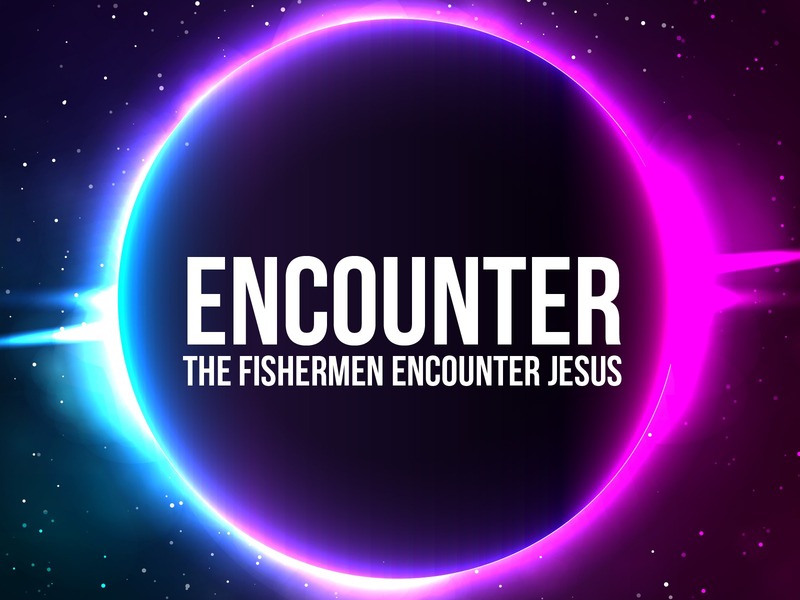 Imagine you are one of the disciples mending your net or out fishing. 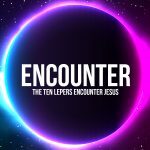 How would it feel to have Jesus invite you to follow him? What would make you drop your net? 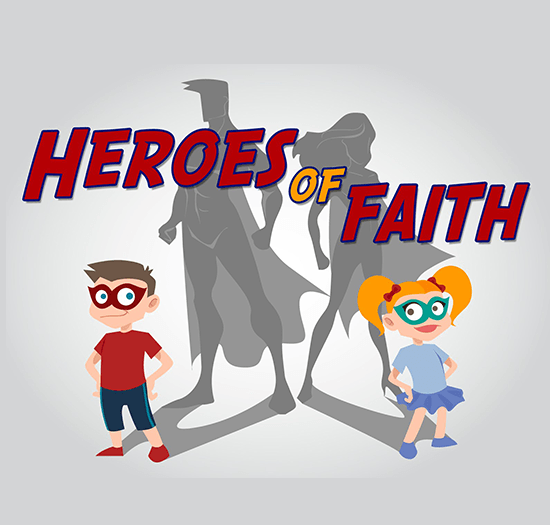 Create your own invites for your next kids group or Sunday school and encourage the children to give them to friends. Create mini fishing rods with fish attached. Make fish pictures. 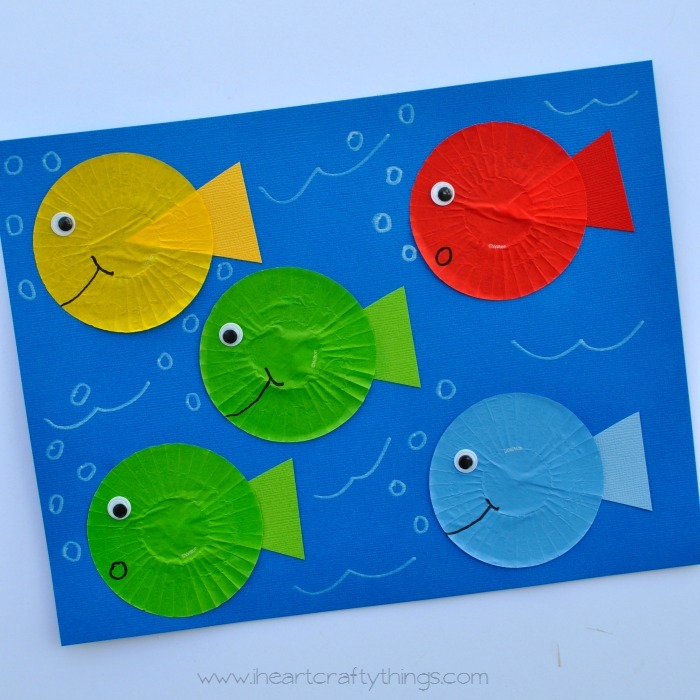 Using empty cake cases and card you can make pictures of fish and write your memory verse along the bottom of the card. Following Jesus footsteps: Have children stand in paint and walk along the paper as their feet leave footprints. Footprints Poem: Print out the footprints poem and mount it with colored card and decorate it with sequins, stickers or alike. Number one trophy. Create a trophy or medal with the words ‘Jesus is Number One’ on it. Say: Close your eyes as you imagine that you are one of the disciples. You’ve been working your whole life as a fishermen. You’re used to the smell of fish. You’re used to the hard work of pushing your boat out into the water and spending hours waiting for your catch of fish. You’re used to mending your nets when they rip. It’s just what you do. Your dad is with you today; he’s a fisherman too. In fact, all your family have been fishermen. But today is different. Today is the day your life is going to change. You’re going to make the biggest decision you will ever make. You see someone in the distance. You recognize him in the distance. It’s Jesus! What do you want to say to him? What do you want to shout? In your mind let Jesus know what you want to shout or say. Jesus shouts something back. He says ‘Come and Follow Me’. What are you thinking?How do you feel? What do you do? To follow Jesus you have to drop everything and leave it behind. What are the things that Jesus wants you to let go of? Is there something or someone that is more important to you than him? He wants to be your number one. If you are ready, imagine yourself dropping those things and running towards Jesus. How does Jesus look when you begin to follow him? Is there something he does in response? What expression is on his face? A Prayer for Help: One way that they need help to follow Jesus. A Prayer of Thanks: Thanking Jesus for being a great leader. A Prayer for a Friend or Family Member: that they would choose to follow Jesus. A Prayer to Follow Jesus.